First Time Skydiving? Start Here! 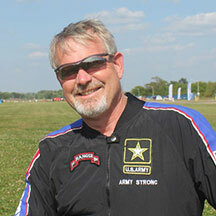 Start Skydiving is the #1 RANKED Drop-Zone IN THE WORLD! It's where Ohio, Indiana, and Kentucky go to skydive! Your skydive will happen so fast and be so overwhelming that you might not even remember most of it! So be sure to capture the moment with professional video and photos of your jump. 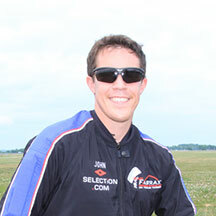 We have three different packages available for purchase prior to your skydive. These packages include high-quality digital photos and videos that are professionally edited and burned onto discs and given to you only 30 minutes after your jump! Start Skydiving owns two turbine Cessna 208 Caravans, one long and one short, and a fast Cessna 206 for hop-n-pops to suit all of your training needs. Three aircraft, two turbines, one great DZ. Let's not forget our occasional specialty aircraft such as large tailgate turbines, helicopters, and hot air balloons! Whether you are from Ohio, Indiana, or Kentucky, Start Skydiving provides load organizing and world-class coaching in all disciplines, which make Start Skydiving a first-class skydiving destination for new and experienced skydivers alike. Start Skydiving is one the top five largest and fastest growing Drop-Zones in the world. Our location in Middletown, Ohio features a 1.15 mile long runway that can support extra-large aircraft for special events, more than 23,000+ sq ft of hangar space and over 600+ acres of flat, obstacle-free soft cut sod to land on. Numerous amenities are also available. I have been skydiving 3 times, but this was my first time at Start Skydiving. My tandem instructor Lonnie made this one the best by far! I will never go anywhere else if I can help it and will ALWAYS request Lonnie. Also, I love how this place got us in and out. I know the weather has a little bit to do with that but my previous experiences included sitting for 4-6 hours. I love Start Skydiving! I believe Lonnie, my tandem instructor, made the experience so awesome and memorable! He was detailed in safety and did verbal rechecks often- which made me feel safe. He was professional, aware, caring, sensitive, and light-hearted. He answered all my questions and was always checking on me to see if I was o.k. To be above the clouds and view the magnificence of God's world is impossible to put into words! To feel the air force on my face- invisible and yet thankfully ever present is an amazing experience. 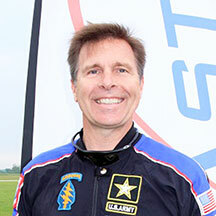 I believe that if you choose to try sky diving, choose to be centered in the experience and tandem with Lonnie Kirk! LOVE LOVE LOVED THIS PLACE!!!!!!!!!!! It was my first time jumping and my tandem partner was Mat Green. He was the best. He calmed me down and was very laid back. Great partner! Thank you so much! The plane ride to the top was the scariest part. Once the door opened, I was ready. Mat was very good at keeping me aware of what would happen and was happening! I opted to have the videographer. Highly recommend. I had pics and a vid! Loved them! Such a great job! We went in October and it was busy even for a chillier day! Highly recommend! Thank you guys!!!!!!!!!!! I did my first AFF skydive today and it was amazing. I am glad that I went to Start Skydiving. My instructors John and Emily were amazing and really helpful. They walked me through every step and boosted my confidence. One of my other instructors, Bud, did an awesome job at teaching us and was a great help. He made sure that everyone felt confident and prepared. If I could, I'd give 10 stars. I had a great time and definitely one of the most memorable experiences of my life. I would definitely love to go back and do more jumps. I pass a couple of drop zones from Fort Wayne, IN to come to Middletown because I feel the safety, quality of teaching and equipment, and professionalism are worth it. Your team has proven my loyalty absolutely right. 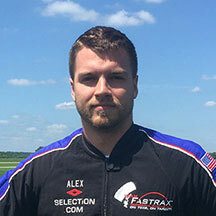 Whether you are here for a first time tandem or for AFF training, Start Skydiving offers the best coaching in the industry, from the world-renowned professional skydiving team, Team Fastrax™. All of our instructors and coaches are USPA Certified. They are dedicated to teaching you using the most current training methods and equipment. Start Skydiving trains more skydivers than any facility in the Midwest. Stop by and find out why we receive FIVE STARS from our students.